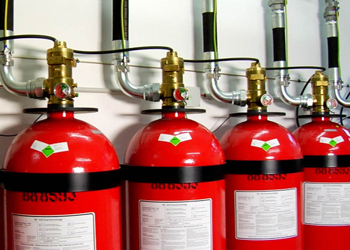 High and Low Pressure CO2 System Foam used in fire protection is an aggregate of air-filled bubbles formed from aqueous solutions, and is of lower density than the lightest flammable liquids. It is mainly used to form a coherent floating blanket on flammable and combustible liquids to prevent or extinguish fires by excluding air and cooling the fuel. It then prevents re-ignition by suppressing the formation of flammable vapours, and also adheres to surfaces, providing a degree of exposure protection from adjacent fires. Foam can be used as a fire prevention, control or extinguishing agent for flammable liquid in tanks or processing areas. Designing a foam fire suppression system requires special expertise – expertise that Gielle has developed over many years. Gielle systems are reliable and extinguish fire quickly, giving you confidence that fire risks are reduced to acceptable levels. For foam systems, foam must be delivered to the fire efficiently and in a controlled and directed manner. 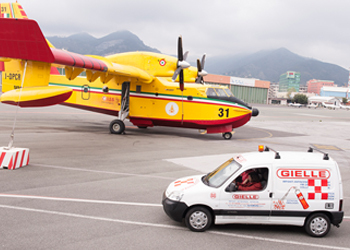 Our fire protection design engineers have experience over a vast range of installations and are able to call on the knowledge of colleagues from around the world in the Gielle group. Our designers will analyse your facility, the fire risk and consider likely scenarios. They will design a system configuration to effectively combat fire, help you consider the options and decide upon the most suitable solution. 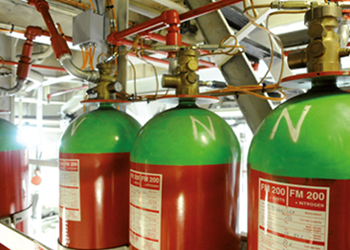 Organisations storing or handling flammable and combustible liquids will usually need to comply with Australian Standards AS1940 ‘The Storage and Handling of Flammable and Combustible Liquids’ and Gielle can provide the design expertise and system components to help any facility comply with this Standard. For maximum effectiveness it is critical the expansion ratio, discharge device and foam concentrate be correct. With our knowledge and expertise, Gielle can recommend the most appropriate devices for your situation. Our versatile foam extinguishing systems. Storage facilities, incineration plants, refineries or plastics/tyre depots have one thing in common: they pose a special risk. When flammable liquids or plastics catch fire, the fire spreads very quickly and toxic combustion gases are emitted. This results in damages that cost millions as well as environmental pollution. Foam extinguishing systems are the most effective fire protection for this risk area, particularly in the fire categories A and B. With a versatile foaming agent range, Gielle offers safe and flexible application. Perfectly aligned components are supplied in line with the individual needs of clients and according to respective fire protection requirements.